Flexing Endurance: "i) Upper 1,50,000 Cycles (De Matin) ii) Sole 50,000 Cycle (Ross)"
Ref: FS 51 A high mid-knee boot with Barton leather print ideal for protection from chemicals at sites like Oil Rigs, etc. - Extremely soft and padded in-sock for a comfortable feel. - Sole: Double density PU Outsole with soft inner lining. 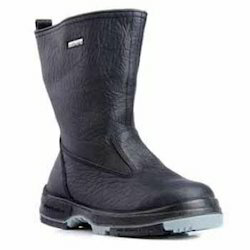 - Features- Antistatic, oil / acid resistant, anti slip and heat resistant with shock absorbing property. 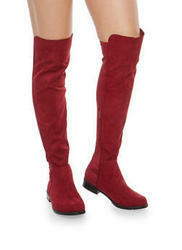 We are engaged in offering high quality of Knee Boot. Our artisans design our entire range in accordance to latest design and style. Our range is available in different sizes and thicknesses. Our range can be customized as per our precious customers specifications.